The development of analytics as a function is nascent, with the top management of many firms often ignorant about how to implement the data in business. This is why it’s vital to keep certain principles in place. But independent consultant and data and CRM expert Mike Sherman has some tips. 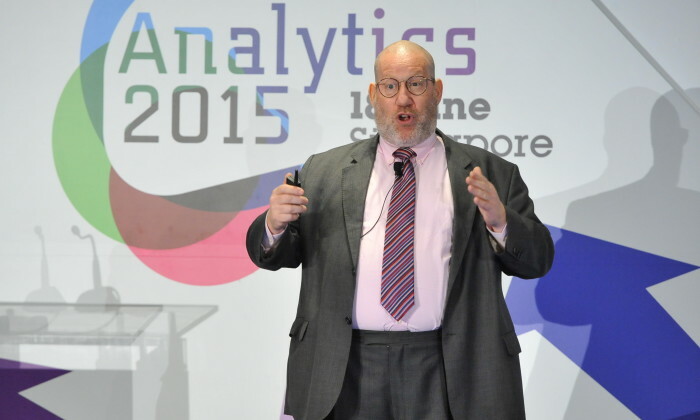 He was previously head of L!ving Analytics, under Singtel’s group digital life division, and spoke at the recent Analytics 2015 Singapore event. Making projections can be hard, so be modest when doing so, said Sherman. Showing how people in history have made vastly inadequate predictions, such as then chairman of IBM Thomas Watson predicting in 1943 that there would be a world market for “maybe five computers”, he advised executives in analytics to do so with a touch of humility. Focus your analysis on what matters, he advised. What decision do you have to make? What information will change that decision? Data can help to reduce decision-making risk, he said. Here’s why a researcher is compared to a porpoise – the porpoise comes up to breathe, goes back down to swim and does this repeatedly. This is how researchers should look at data. Don’t look at it as conclusive. “Start with a hypothesis, go down deep and look at the data, and come back up and see if you’re right,” he said. Sharing the example of this Dilbert cartoon to illustrate the point, Sherman also gave an example. Sherman talked about sites such as Amazon as a perfect example of being able to close the loop. “It knows what you browse, what you buy, and what you review. For instance, if one buys a book on Amazon, the search results you get will change. If you write a negative review on Amazon, the suggestions you get will also change. That’s closing the loop and using that to drive suggestions,” he said, suggesting that this was a good way for brands to look at holistic data. A chart may not mean anything, and the numbers may not mean much. This happens if you’re not asking the question right, said Sherman. Also, there’s a flaw of averages. For example, if you survey both cardiologists and psychologists on what the top drug companies are, and take the average of that, this will be meaningless. Too much of the targeting today is based on generic demographics and can be misleading. For instance, we know gamers may be young, but what if you have players like a grandfather who likes to play with his grandchildren? Sherman asked. Sherman gave instances of wrong ways to question, for example, asking people if they were competitive about pricing. “Who’s going to say no, charge me higher?” But the truth is, few customers know the competitive pricing about certain goods or services. He told of his experience at McKinsey, where everyone was taught to be able to do an elevator speech of a project. “If the client is in the lift with you and asks, how’s the project going, you don’t say ‘good’. You need to be able to say – so here’s what I think you need to do,” he said. Accenture estimates that the consumer goods and services industry will grow by as much as US$700 billion globally by 2020. ..
Maxim’s MX aims to attract young people to its latest Chiu Chow food offering – a traditional Chinese cuisine – with a rock band a..
A new study has found that Singapore has come in eighth for the most creative productivity in Asia Pacific region (including Japan..